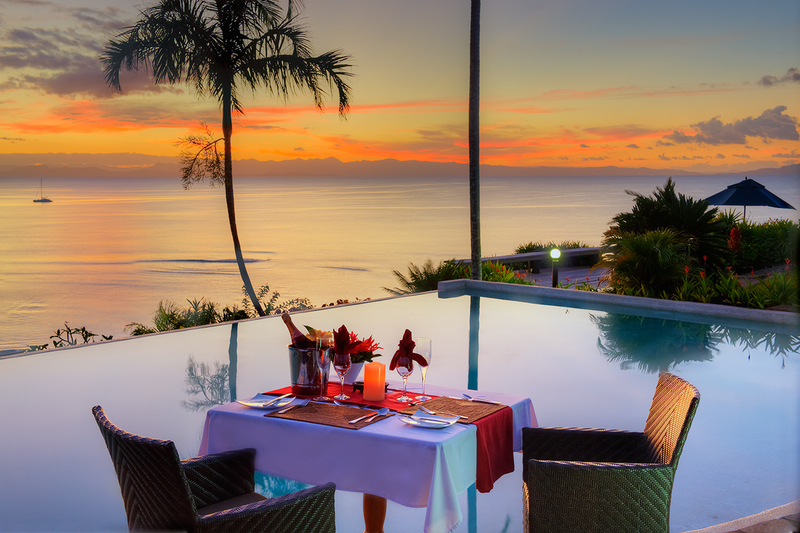 For those who love nature, beauty and peace, Taveuni Island Resort is the ideal destination. This resort is set on 10 acres of lush and colourful tropical gardens, overlooking the ocean and experiences breathtaking sunsets, ensuring each villa is private with stunning views. With a white sandy beach at your toes, grab a kayak and explore the stunning azure waters. The world renowned Rainbow Reef close by, there are many amazing dive spots, pictures just don’t do it justice. With the array of sea-life and vibrant colours of the coral and fish it is a true sight for the eyes. Try your hand at or show off your skills game fishing. Or step aboard and head out to discover the surrounding islands. Included in your stay are all meals, return Matei airport transport and government taxes. There is a minimum of four nights stay at Taveuni Palms Resort, however to take in all Taveuni has to offer it is recommended to stay for seven nights (great deals available). We love the tranquility of this resort and being on the doorstep of the island. You can adventure out and about the island or the sea. Definitely enjoy the private dining bure, the view is spectacular as is the food. If you can, do stay 7 nights. Relax in the resort, enjoy a spa treatment and explore all the natural wonders in and around Tavueni, you wont be disappointed..
Accomodating a maximum of 28 guests at any one time, Taveuni Island Resort offers guests luxury, exclusive villas perfect for honeymooners or couples looking to enjoy a romantic getaway. Each oversized, private villa is open plan, with ample indoor and outdoor living space. 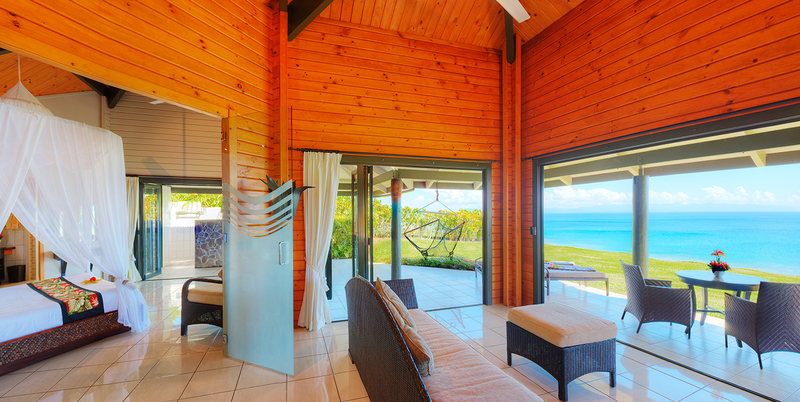 Most also include a private outdoor shower, kitchenette, plush king beds and spectacular views from nearly every room. For that little bit of opulence, the Grand Matalau Villa has a gorgeous plunge pool, two ensuite bedrooms, private chef, waitperson and housemaid. All meals are provided with your stay. Meals are made using the freshest of produce including vegetables from their organic garden and fruits and livestock from larger local farms. Taveuni Island Resort is also involved in a program helping to supply fresh produce to outer island communities. Dine in the beautiful open air restaurant or reserve the private dining burre nestled in the hillside overlooking the ocean.